This time of the year in college football, the mock drafts start coming out and people start talking about what players will declare early. But just because some on the internet is saying that this player should declare early or someone close to the player telling him that he should leave school early might not know all the facts. Remember 80% of an NFL grade is made up on film. 1. In the past NFL Scouts weren’t allowed to scout underclassmen, but the rule has changed allowing the school to give scouts a list of 5 possible players that could declare that they were allowed to get info on. Scouts do look at the guys that they know for sure will be coming out early, but their main focus is the senior prospects. The underclassmen that aren’t general accepted as a 1st round pick there is rarely any work done on them during the season. 2. Underclassmen aren’t allowed at post season all-star games. 7 years ago with the NFLPA started the NFLPA Collegiate Bowl they were going to challenge the NFL rule and did allow one underclassmen in the game. That caused the NFL teams not to send a single scout to that all-star game. Because of that the NFLPA has only allowed seniors in their all-star game for then on. As we saw in the 2013 NFL Draft All-Star games are a big part of the process where OT Eric Fisher, Central Michigan went from a late first rounder all the way up to the number one overall pick because of his play at the Senior Bowl. 3. NFL Combine – First official time NFL scouts can talk to underclassmen. Just because a prospect has declared early doesn’t automatically get him an invite to the NFL combine. So if a prospect is not invited then really the first time a scout get to talk with a prospect is at his school Pro Day. 4. NFL Draft Advisory Board – The board is composed of general managers and personnel directors from a number of NFL teams, along with the directors of the NFL’s two scouting combines, BLESTO and National. A prospect can ask for their assessment on where he is projected to get drafted. The board will return their assessment of the prospect with three possible grades – first round, second round, or neither, which means that the board advises the player to stay in school. The school can get a hold of the NFL Draft Advisory Board or the prospect can contact the NFL Player Personnel Department directly. 5. 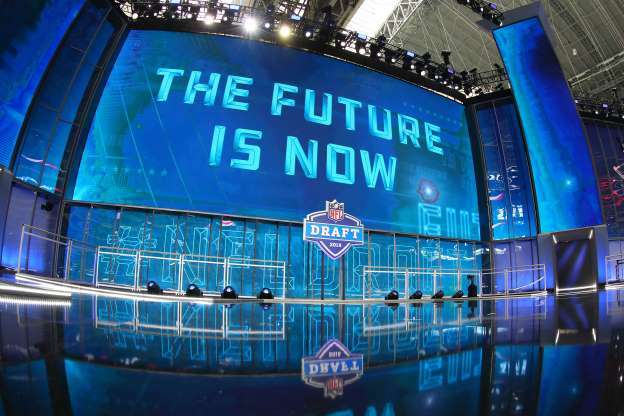 The 2018 NFL Draft included 106 underclassmen who entered the draft early, 69 players were drafted, leaving 37 who went undrafted (35% not drafted) The 2017 NFL Draft included 95 underclassmen who entered the draft early, 67 underclassmen were drafted, leaving 28 (30%) not drafted. The 2016 NFL Draft 30 of 96 underclassmen were not chosen (31%). Every prospects situation is different when thinking about declaring early for the NFL Draft but each prospect should get as much information as possible in regards to leaving school early for the NFL Draft. Just because someone (agent, family member, teammate, etc.) is telling you that you as a prospect should declare early make sure you get all the facts. 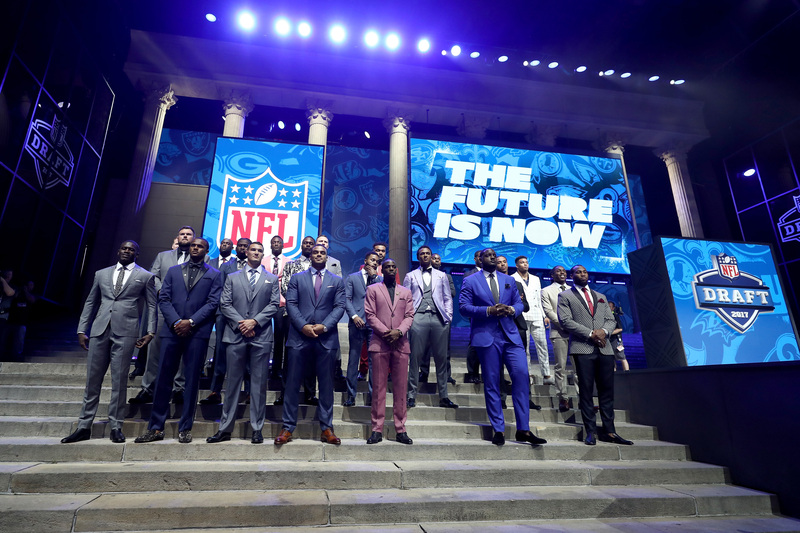 Many players were not drafted as high as they thought they would or were promise and some didn’t get drafted at all in this year’s NFL Draft. First off if any agent promise that you will get drafted, or he or she promises you what round you will get drafted …Run! No one knows for sure were a player will get drafted not even the teams – see Baker Mayfield this past April, no one thought he would go number one overall even a week before the draft, before the season started and even during the season a lot of teams had him graded as a third round pick. An agent is a facilitator of your talents as a player and what you have put on film. An agent can help get you into an All-Star game (Senior Bowl, E-W Shrine, etc. ), help you in the pre-draft process, promote your film to NFL scouts, promote you to the media, give you an overview of the NFL landscape in terms of your position with the 32 NFL teams, but if the NFL teams don’t think you can play in the NFL he or she is not going to get you drafted or signed. NFL teams for the most part don’t care who your agent is. Also NFL teams are going to do what they feel is best for their teams not doing a favor for an agent that they know or like. An agent has a valuable role to play in the process and they can help move guys up with their guidance and skills about the pre-draft process but an NFL agent alone can’t get a player drafted or signed. It comes down to does the NFL teams think the player has the skills to play in the NFL. This might not be any new information but here is some of the basic’s when it comes to the NFL business. Roster size: 90 man roster in the off-season and start of training camp. Rosters will get cut down to 53 man roster and of that only 46 players dress for each week. If a player doesn’t dress he will still get paid the same if he did dress for the game. Benefits of being on 53 man roster: After you play 2 regular season games you will be automatic enrolled in the 401K in which the NFL has a match. There is an NFL pension, tuition reimbursement, and other benefits. Also each player on the 53 man roster does receive 2 game tickets per home game. 2019 Rookie Base Salary: $495,000 per year or $29,118 per week. Performance Based Pool: If a player plays one down in a regular season game he is eligible. This is a lump sum of money paid out after the season based on each player playtime percentage. Playoffs: Will get additional weekly checks if team is in the playoffs. Practice Squad: The maximum players allowed on a NFL teams practice squad is 10. A practice squad player can sign with any teams 53 man roster at any time and if signs with another team then its own the player is guaranteed 3 regular season game checks (Assuming there is 3 regular season games left). 2019 Practice Squad Pay: $8,000 a week or $136,000 a year. Training Camp/Pre-Season Games: Weekly pay in 2019 is $1,150 for rookies. Taxes: Will need to pay state income taxes in each state that a player plays in, so at the end of the season possible 9 state tax returns will need to be filled. Each state has a different state income tax rate and some states like Texas, Tennessee, Florida, Washington have no state income tax. Tuesday During the NFL Season: Most teams Tuesday is the players off day, but also it is the day teams will bring in “street free-agents” to work out because of injuries the past week or to get a look at for the teams emergency list for future injuries. Future Contracts: When people talk about future contract it an NFL team signing a player after the season so that the player can participate in OTA’s, Mini-Camps and then go to training camp with the team. Agents: Agents can charge a maximum of 3%, on base salary as well as signing bonus, work out bonus, and roster bonus. But only get paid after the player gets paid. Also does not get a commission on practice squad weekly pay. Not all firms or all agents do all these things but they are aware of these things and can get them done if need. 1. Contract Negotiations – Top thing an agent is trying to is maximum their clients on the field contract and any off the field contacts. 2. Marketing and Selling Film (Pre-Draft & Free-Agency) – 80% of players draft grade is based on film and when players go into free-agency it is all about selling film and ability. 3. All Star Game Invites – Agent can push players to the All-Star game directors even before the season starts. 4. Training – Not only pre-draft training recommendations but also off-season training as well. 5. Nutrition – Goes hand and hand with training but it also in-season and off-season. 6. Endorsements and Marketing – Addition way for agents to help their clients make money off the field. 7. PR and Media Relations – The Media is a good way to be able increase visibility and brand. 8. Relocation Assistance – Players can always be on the move in free-agency and new teams. 9. Appearances – If it is not a paid appearance sometime it worth more to your brand to be somewhere. 10. Injury Settlements/ Grievances – There is always injuries in football and it is a business so need someone to look out of your best interest as a player. 11. Benefits Assistance/Education (401K, Pension, Performance Base Pay) – Helping the players be aware of everything that is available to him and how it all works. 12. Financial Advisement (In-house, Referral, or Vetting) – Some agents have this service done in house or can help their clients find the right qualified fit for them. 13. Taxes (In-house, Referral, or Vetting) – Some agents have this service done in house or can help their clients find the right qualified fit for them. 14. Insurance (In-house, Referral or Vetting) – Some agents have this service done in house or can help their clients find the right qualified fit for them. 15. Social Media Management – Social media not only can have an effect on your band it is another way to help great additional revenue for the player. 16. Branding/Website Development – Branding is an important part to help increase awareness and increase current and future revenue. 17. Concierge Services – Bill Pay, Event Planning, Personal Services, Travel Assistance, etc. 18. Career Management – Overall guidance of the player current and future plans. 19. Post-Career Planning – Helping figuring out what is the plan after the game of football. Why some NFL prospect make it and why others do not? When the NFL regular season started 39% of NFL rosters were made up of undrafted players. Every year when it comes to who makes the 53 man roster you will see teams that cut draft picks and keep undrafted players. Being around the NFL business for almost 20 years if different aspects from covering it, to doing player personal to representing players, there is one thing that is hard to measure. That is the player’s true motivation. True there can be many factors on why a NFL draft pick doesn’t make it but to me one big factor is that it comes down to do two different types of prospects – Players who goal is to make it to the NFL and players who goal is to play in the NFL. Player who goal is to make it to the NFL – Their ending goal in football is that they have reached the highest level and it is a finishing point not a starting point in their football career. Maybe they are doing it because it seems to be the cool thing to do, will make their parents, family and friends proud. But it is where the goal stops. This prospect is less likely to do the extra things to maintain his career or roster spot. Only a player truly knows what type of prospects he is and at the end of the day it is his career but the job of the people drafting and signing players is to try to figure out what they players true motivation is. Author Justin VanFulpenPosted on January 3, 2018 Categories NFL DraftTags Business, College Football, football, Goals, Money, NFL, NFL Draft, Prospects, Roster, Sports, Undrafted, Undrafted Free-AgentsLeave a comment on Why some NFL prospect make it and why others do not? Declaring early for NFL Draft – Is it worth the risk? This time of the year in college football, the mock drafts start coming out and people start talking about what players will declare early. But just because some on the internet is saying that this player should declare early or someone close to the player telling him that he should leave school early might not know all the facts. 1. NFL Scouts weren’t allowed to scout underclassmen, until this season when the rule was changed. But with this rule change this year with the new agreement with the AFCA and NFL that took effect, where school gave the scout a list of 5 possible players that could declare that they were allowed to get info on. Scouts do look at the guys that they know for sure will be coming out early, but their main focus is the senior prospects. The underclassmen that aren’t general accepted as a 1st round pick there is rarely any work done on them during the season. 2. Underclassmen aren’t allowed at post season all-star games. 6 years ago with the NFLPA started the NFLPA Collegiate Bowl they were going to challenge the NFL rule and did allow one underclassmen in the game. That caused the NFL teams not to send a single scout to that all-star game. Because of that the NFLPA has only allowed seniors in their all-star game for then on. As we saw in the 2013 NFL Draft All-Star games are a big part of the process where OT Eric Fisher, Central Michigan went from a late first rounder all the way up to the number one overall pick because of his play at the Senior Bowl. 5. The 2017 NFL Draft included 95 underclassmen and another eight who entered the draft having earned a degree but still with NCAA playing eligibility. 67 underclassmen were drafted, leaving 28 (30 percent) not drafted. The 2016 NFL Draft 30 of 96 underclassmen were not chosen (31 percent). 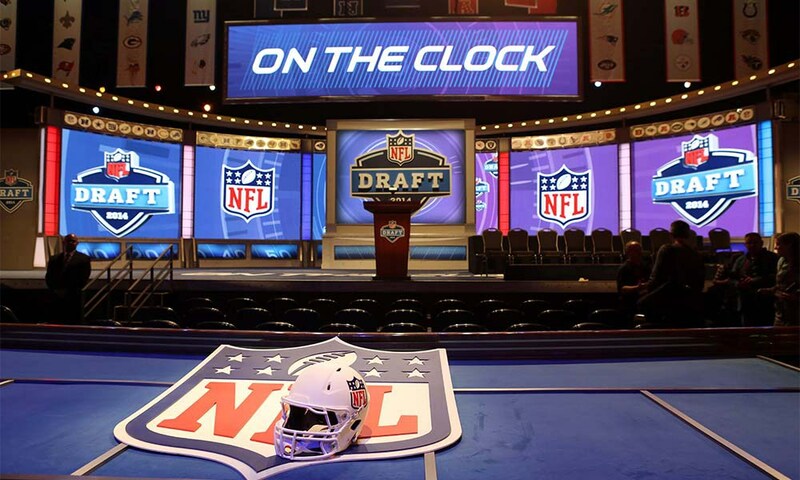 Every prospects situation is different when thinking about declaring early for the NFL Draft but each prospect should get as much information as possible in regards to leaving school early for the NFL Draft. Author Justin VanFulpenPosted on December 7, 2017 December 7, 2017 Categories College Football, NFL DraftTags 2016 NFL Draft, 2017 NFL Draft, 2018 NFL Draft, Agent, all-star games, Business, College Football, football, Junior, Justin VanFulpen, Money, NFL, NFL Combine, NFL Draft, NFL Draft Advisory Board, Pro Day, Senior Bowl, sports agentLeave a comment on Declaring early for NFL Draft – Is it worth the risk?